Do you have a game plan when it comes to finding new clients? Are you a gutsy go-getter who will approach people on the street, or are you the patient posting type who lets your Instagram photos do the talking? We love both of these strategies, as long as they help you build your business your way! There’s no doubt about it…gaining a new client is one of the most exciting parts of the business-building process. The iTOVi Scanner is a great tool for piquing people’s interest and getting them to sample a few products, but what happens after that first scan? How can you keep the excitement going long enough for them to order oils of their own? Following up with your clients is just as important as offering them that first hand scan. Without hearing from you after the initial contact, they might look elsewhere to order their oils…or worse, give up on oiling altogether. Keep in mind that follow-ups aren’t just for brand new users. Even if a client has ordered oils from you before, they might be too shy to reach out and ask about products or upcoming promotions. We’ve come up with a list of our top tips to make following up with your essential oil clients as easy as possible. Ask them how they prefer to be contacted. While some of us love a good ‘ole fashioned phone call, we’re often too busy to find the time to chat for twenty minutes. Every one of your clients will have a preference when it comes to contact, so all you have to do is ask. Whether they prefer texts, emails, phone calls, or even personal visits, it’s important to do what makes the client feel comfortable. In the iTOVi App 2.0, you can actually send a personalized email to any of your contacts. Once you’ve scanned someone, you can automatically follow-up with them even without their phone number! Let them know you’ll be reaching out soon. If the client knows you’ll be reaching out to them in a week, they’re more likely to answer the phone and have some helpful feedback or questions about the products. At the end of each conversation, remember to ask them when they would like to be contacted next. Some clients love reading daily messages about the benefits of oils, while others are just fine with a once-a-month text about an upcoming sale. Invite them to join your community. One of our favorite things about essential oils is the community that comes with it! Oilers have a strong presence on social media, which makes it a great resource for following-up with clients. Adding them to your Facebook page or following them on Instagram allows them to meet other oilers and feel included in your company’s community. Encourage them to post a little introduction of themselves, and they’ll be inviting friends of their own in no time! Keep track of each client. 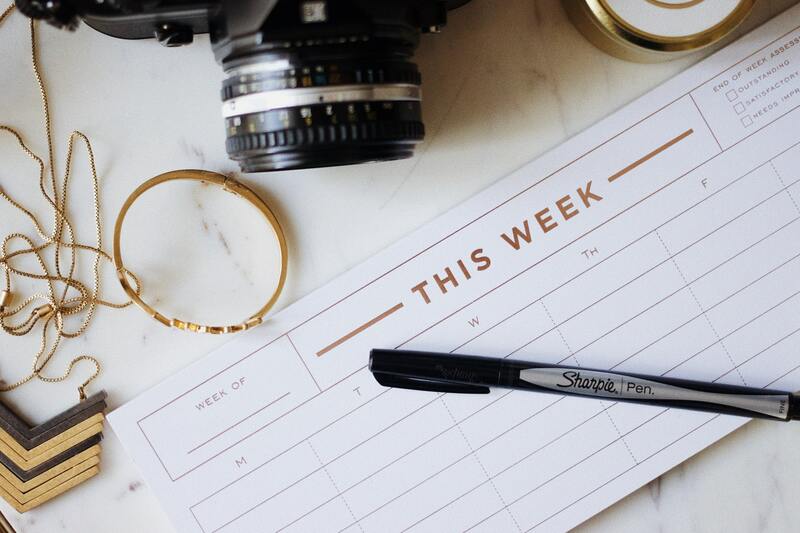 Staying organized is such an important part of running a successful business! When you get a new client, we recommend writing their name down along with the date you first contacted them. After that, continue to update the date each time you reach out. This way you won’t get any clients confused, and you’ll know when you last followed up with each. If you don’t already have a notebook or planner to keep track of your oiling team, we love this hardcover journal from Redbubble and this spiral-bound notebook from Papyrus. Make each follow-up personalized to the client. Each client is unique, which means no two follow-ups should sound the same! A busy stay-at-home dad will use oils in a way that’s different from a college student struggling to find time for wellness between her classes. As you talk with your clients, be sure to take notes. Write down everything from their concerns to their favorite products, and pull out those notes the next time you chat. Your clients will be impressed if you remember that they love the smell of peppermint but can’t relax with lavender. Those details matter to your clients, so they should matter to you too. Nothing says “I care” like asking open-ended questions and really listening to a client’s feedback. No matter how you choose to follow-up with your clients, it’s important to focus on each individual rather than just a checklist of phone calls to make. Because the business of essential oils and supplements is so centered on personal wellness, it’s okay to add a personal touch now and then. We’ve been inspired by those of you who send cute sample bags to your new clients or go out of your way to check-up on them during hard times. While these steps may seem like a lot at first, it’ll become second nature after a few weeks of showing clients how much you care!